GP Weekly New Internet Package List 2019! List of 7 GP 7 days internet package 2019, There are seven days all internet packages available. 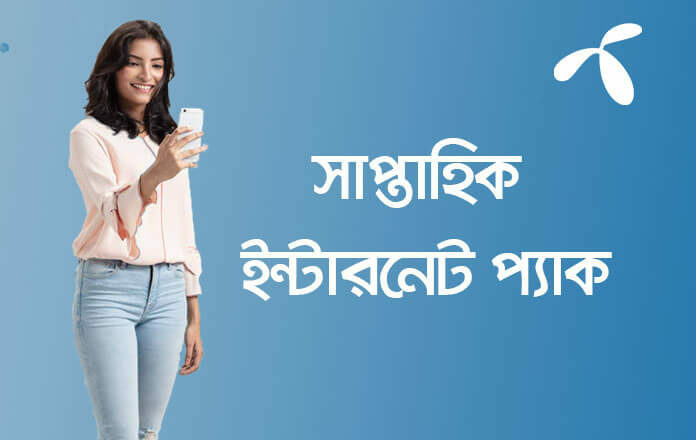 Grameenphone has completely updated these packages for the year 2019. Here are the only weekly internet packs available for Grameenphone, If you want to buy any other package, then browse Grameenphone from our category. Any Grameenphone customer can use these packages, only Skitto user can’t use this packages. GP 7 days new internet package, Grameenphone all internet package for 7 days, GP weekly data pack 2019. To turn ON auto-renew option after package activation, SMS “ON” to 25000 or dial *121*3042#. Also, the customer can turn off Auto renew by sending SMS “OFF” to 25000 or dial*121*3043#. If you know additional or full terms about the Grameenphone (GP) customer can see / download by Click Here.